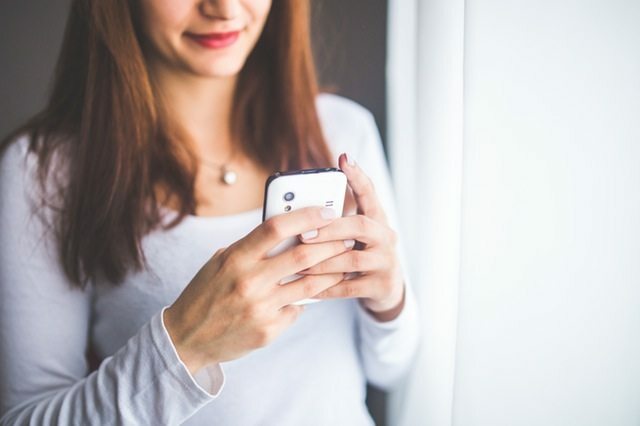 The ability to deliver a seamless customer experience in an increasingly connected, omni-channel environment is a top priority for all telcos – and a key differentiator. As mobile traffic continues to grow, telcos are under increasing pressure to identify each individual user and associate them with the multiple devices they use. This is necessary for comprehensive profiling and to ensure a 360-degree data view of each person. By integrating mobility into marketing platforms, companies can engage mobile customers using real-time analysis of the subscriber’s location and preferences to trigger a timely and relevant personalised message, e.g. special deals at shops the person is near. This creates value for the customer and the business. A bi-product of so many connected devices is the huge volume and variety of data generated by users, allowing more complex granular insights to be gathered at scale yet at a lower cost. Hence the ability to integrate current (and future) digital channels into a multichannel strategy, ideally on a real-time data platform, will become a pressing requirement. With this, telcos will gain a fully comprehensive understanding of individual users, allowing for more relevant, personalised engagement; while users will witness an unbroken chain as they move seamlessly across channels, each providing an enhanced level of consistency and ease of interaction – and thus a more personalised customer experience. The “voice of the customer” in social media is important data to collect, especially when sentiment analysis can be applied to it. External data from third-party ecosystems, such as Twitter and Facebook enable richer insights to be gleaned from customer sentiments. Telcos by nature already have vast data sets in place, yet they are one of the industries spending most on big data. It is critical therefore, to focus on the value that specific sets of data will impart and what problems they may solve. Among other things, big data is used to develop a complete picture of customers and the customer relationship, e.g. customer profiles, browsing history, location data, network and device usage, and so on. Armed with this, telcos can deliver customised offers such as individual data top-up plans or up-sell recommendations based on data usage, and personalised offers based on specific customer preferences. Telcos can further enhance customer experience by proactively identifying negative issues and offering solutions before problems impact the customer. Using in-house (structured) customer data and combining it with what the same people are saying in customer-generated text and in social media (unstructured data), gives a much more complete view of customers and their intentions. For example, telcos can analyse this data and develop new programs that target subscribers who appear unhappy with their current service provider. Listening to the “voice of the customer” enables richer insights to be generated in the context of customer issues, trends and sentiments. Combining predictive analytics with real-time data is still a challenge. Batch data or data that has aged even by a week or so, means mixing old data into real-time offers, leading to poorer conclusions and sub-standard customer experiences. Companies need to focus on processing data faster. As the demand for real-time support in business decision making intensifies, cognitive analytics based on machine learning, will become increasingly crucial for the telecommunications industry. Its real-time capabilities allow transformational customer engagement that can significantly improve the customer experience and value to the business. Examples include interpretation of context and sentiment, language recognition, and the ability to interact immediately in social media, blogs, reviews, etc. The demand for real-time business is driving related technology improvements. Examples from PricewaterhouseCoopers include applications that leverage speech interaction technology on inbound calls, this can help telcos speedily identify when they have an upset customer on the phone. By immediately accessing previous service call data for the same customer the telco can route the caller to a representative skilled in handling such calls. When conversing with a customer the ability to identify the person’s profile and understand their circumstances, while also aggregating and analysing large data sets, are essential prerequisites to automatically determining the next-best-action in real-time. Contextually relevant, real-time interactions are clearly more beneficial to customers. Telstra, for example, pops-up real-time personalised offers to customers in its digital and ecommerce channel, using next-best-action data based on an array of propensity models. The company also sends real-time messages when customers exceed their contract cap, suggesting they purchase a data pack. This reportedly led to a 26% uplift in data pack sales; it’s perhaps another reason why Telstra is believed to have shifted 40% of its marketing budget to one-to-one. McKinsey & Co report that two-thirds of the decisions customers make are informed by the quality of their experiences during their journey. Clearly, end-to-end management across the entire infrastructure of each telco’s network is essential to ensure appropriate and consistent customer experiences. While Net Performance Scores (NPS) have been in use for many years, NPS is only now coming into its own in a public sense. Macquarie Telecom decided to embrace NPS and publish the score on their website. If the public come to expect a universal measure like NPS from all companies it will significantly change the level of customer service provided and the customer satisfaction experienced10. Telstra’s “thanks” program is another good example; it involved contacting 2 million customers and thanking them for their business. Unsurprisingly this provoked a substantial uplift in customers saying they had a problem and wanted it solved. Combining service, sales data and technology on such a scale would have been unachievable a few years ago, but by empowering customers Telstra saw a good lift in their customer advocacy scores. As a result of similar new activities, Telstra claims an increase in response rates and substantial year-on-year growth in incremental revenue. Ultimately, the less friction telcos create in their customer interactions, the happier customers will be. The future is bright for progressive companies with sufficient scale, agility and inclination to harness big data and engage customers in real-time, personalised interactions. It’s worth reflecting on a truism that perfectly explains the way data-driven marketing can help enhance customer experiences: Know me, engage me, empower me – and keep me!